It has been years since I have been to Chicago – since college and no one need to know how long that’s been! I couldn’t think of a better way for me to experience and explore the city of Chicago that run through it! While just going out for a run in a new city is fun and great, going to a new city to participate in an exciting running event is way more inviting! This years Rock ‘n’ Roll Marathon Series is pumping up the volume on their events and it couldn’t have come at a better time! Let’s see what they are changing and what I am most excited about! If you have been to a Rock ‘n’ Roll race before, you know there is quite a bit of music along the course and a headliner performing after the race. Not sure how they could pump more music into the event? For starters, there won’t be music every few miles…but there will be music in some form at every mile! There’s nothing more exciting than knowing when. You hit the next mile and there be a potential parade of noise to cheer you on! Need more help along the way? Would you be willing to run with a pacer? While I am not pacing this event (although I would LOVE to), the pacers will have music playing the whole race to keep you moving with the beat the whole race! Lastly, the Rock ‘n’ Roll team has gone a step further and curated some playlists customized to YOUR beat! Know your cadence or what you think your cadence should be? Pop on over to Spotify and download the playlist that beat suits your goals! Have you been to a race where you didn’t know where the starting corral way? Or which area you should be starting in? Or where the mile markers are? Or know who the pacers are because they look like everyone else running? Rock ‘n’ Roll has made some major improvements to support the runners participating in their races in 2018 (and beyond)! Starting with more visibility across the board – new lighting for visibility at the start, improved pacer signs, additional gels at aid stations, and improved mile mark visibility to name a few! Another great feature is the mobile app! Since I can’t bring my whole family to the race, they can download the app and see how I am progressing through the course! Since I don’t live in Chicago, I don’t quite know the impact of how the Rock ‘n’ Roll Chicago event course affects the local residents. But engaging the local community in large events such as the Rock ‘n’ Roll races is a surefire way to get people interested in the full weekend of events. If I lived in Chicago, I would surely be out there cheering for the runners! As for the spectator experience, there is quite a bit more visibility of the runners in real live and virtually! In person, there are spectator tips on where to best see your runner – as well as a large grandstand at the finish to cheer on all the finishers! Both with the app and an online video of the finishers chute, friends/family can track you virtually on the course throughout the day. 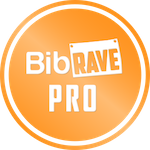 As a BibRave Pro, we have the opportunity to run races all over the world! Last year was the inaugural BibRave 100 to find the top races in the United States. The BibRave 100 lists the top 100 races in America, nominated by runners like you, based on course, swag, scenery, and more. Rock ‘n’ Roll Chicago was voted into the top 20 half marathons in America! To be able to run a race that is voted to be one of the top half marathons is a real treat – and my expectations are high for this year! Let’s run! This year marks the 10th Anniversary of the Rock ‘n’ Roll Chicago event. You better believe they are going to make it a memorable one!